Contemporary Kamado grills are modern versions of portable Japanese Kamado cook stoves, which are called mushikamados. These traditional grills gained popularity in America after World War II. Kamado grills are typically made from ceramic shells opposed to charcoal grills which are usually made from sheet metal. Ceramic grills are lauded by consumers for its unrivaled insulation properties and heat efficiency. The Kamado’s ability to retain and regulate heat are the main factors that are responsible for producing great grilling and smoking. 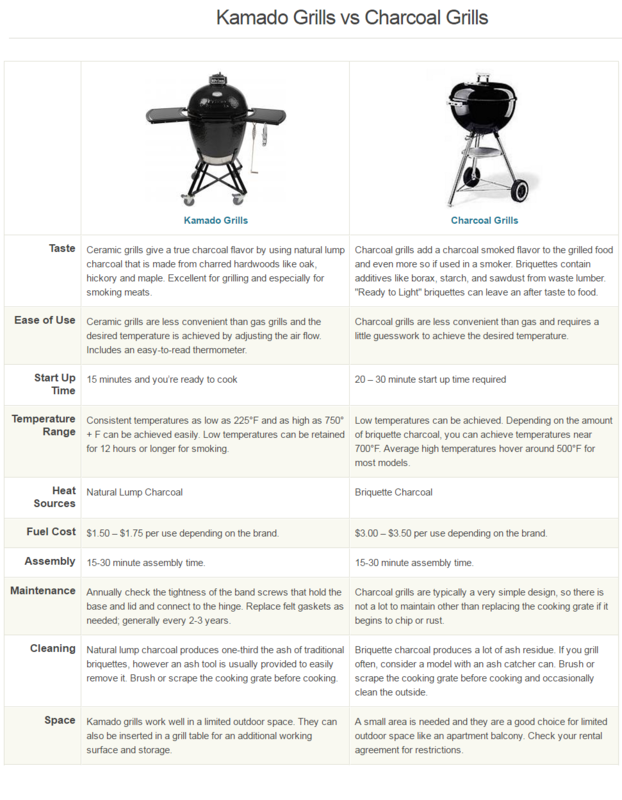 Let’s dig a little deeper into the differences between Kamado grills and charcoal grills. We believe that the inherent beauty of Kamado grills can be elevated with our rustic decor grill tables. Our items are great compliments to outdoor furniture, garden furniture and outdoor areas. Grilling is bigger than cooking in outdoor spaces, for grilling is an art form. Having the proper accessories can make the grilling process a complete joy. Our grill tables can be designed to your specifications with granite tops, built-in coolers, grill tool hooks, wheels and much more. 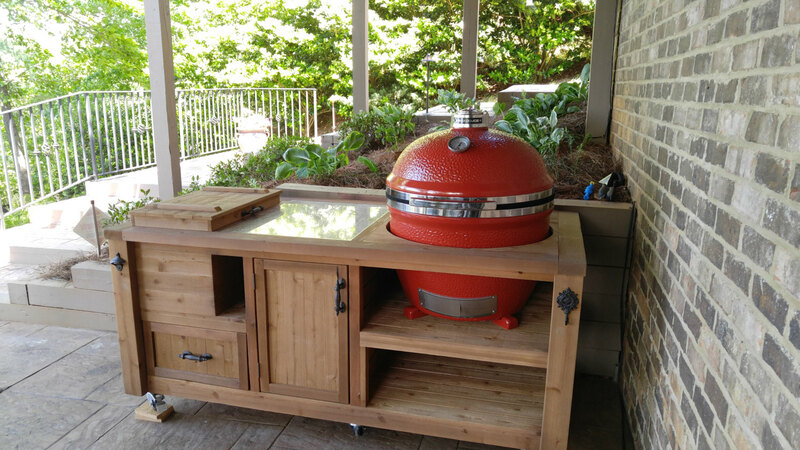 Contact us today to speak with a design specialist to start the process of building your custom grill table for your Kamado Joe grill.